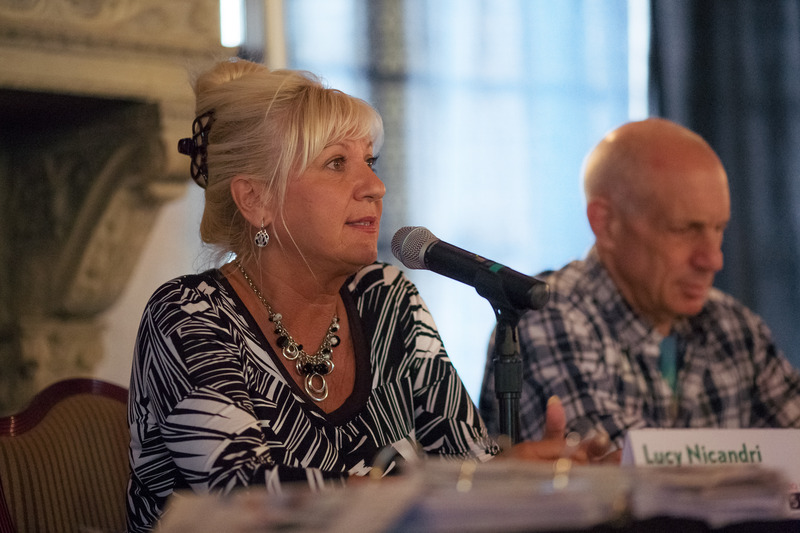 Last week, SRQ Magazine hosted an SB2 dedicated to planning, marketing and troubleshooting of events. Hosting A Crowd: Economic Impact of Major Events was attended by local industry leaders in events and the hospitality sector. 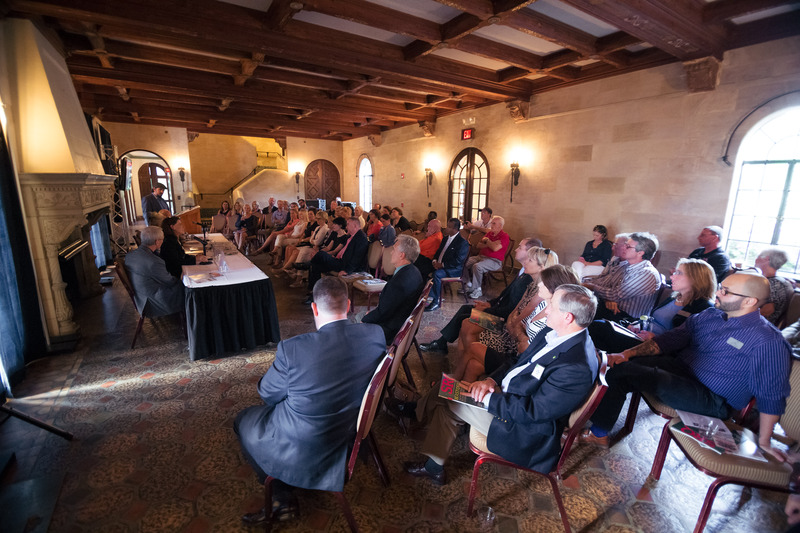 Held at the historic and beautiful Powel Crosley Estate, the symposium was sponsored by Bradenton Area Convention and Visitors Bureau (BACVB) and Sarasota Bradenton International Airport. Kicking off the evening, Destination Sales Manager Aimee Blenker of BACVB reminded the assembled crowd of the importance of visitors organizations in the planning and preparation of events. Mark Stuckey of the airport reinforced the importance of serving as the portal to our region–and delivered an impressive docket of figures on the economic impact of brining visitors to our region. 1. When it comes to promoting your event, be the master of communication and innovation. 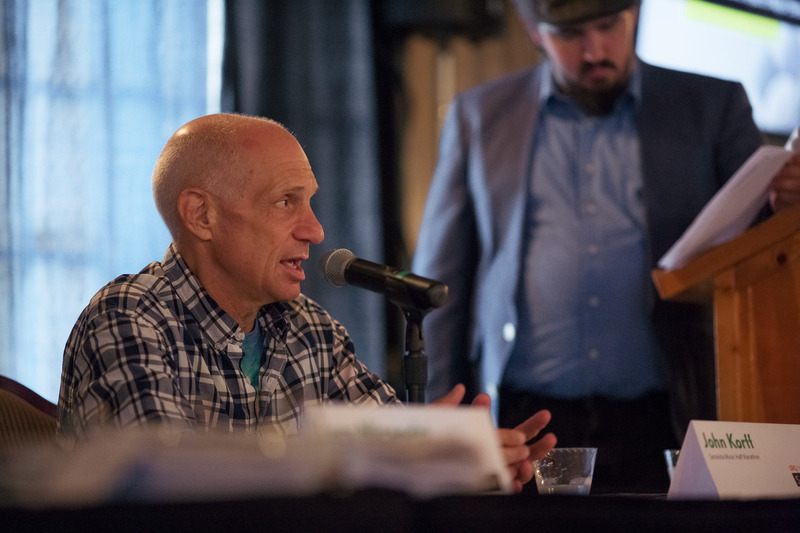 For Lucy Nicandri, the mastermind behind Thunder by the Bay and the Sarasota Powerboat Grand Prix Festival, the biggest and most crucial thing you can do is stay relevant and engaging. “We host a 31 year old event (Grand Prix Festival). You can’t keep doing things the same way and expect to attract new people. Next year we are introducing an international layer to this festival.” Also important for drawing more people in – the power of the television. This year, the Grand Prix Festival will be televised and will likely increase interest for coming years. As a new and growing event, the Sarasota Music Half Marathon experienced a huge learning curve in its first year. 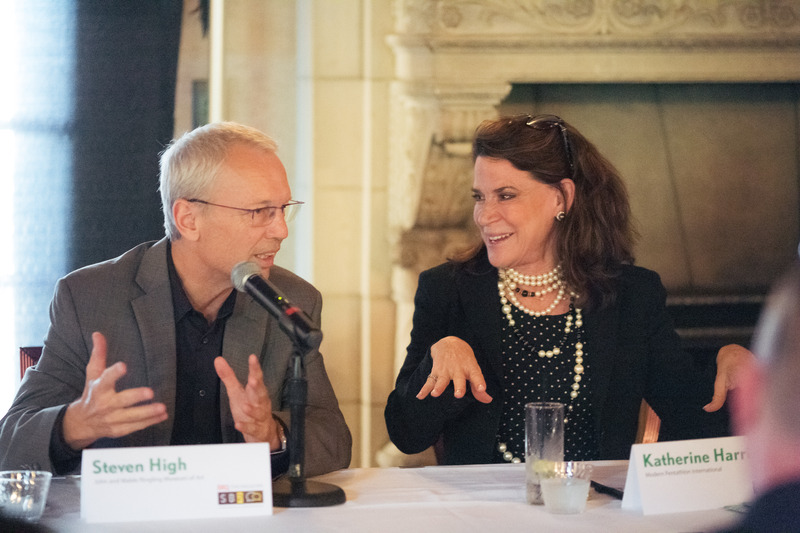 John Korff mentioned the importance of solid communications. “For us, it wasn’t hard to identify or target audience. It was hard to get their email list.” Realizing the number of out of region (think Midwest and Northeast) runners coming to enjoy the warm weather run, this will be marked opportunity for marketing the half marathon next year. 2. We’re more than just beautiful beaches. Katherine Harris of the Modern Pentathlon International spoke to the importance of the community. “We are certain that an event to match the caliber of the opening night of the Modern Pentathlon couldn’t have happened anywhere other than Sarasota.” The Modern Pentathlon was able to work in collaboration with other key organizations within the community to create an event unlike any other. 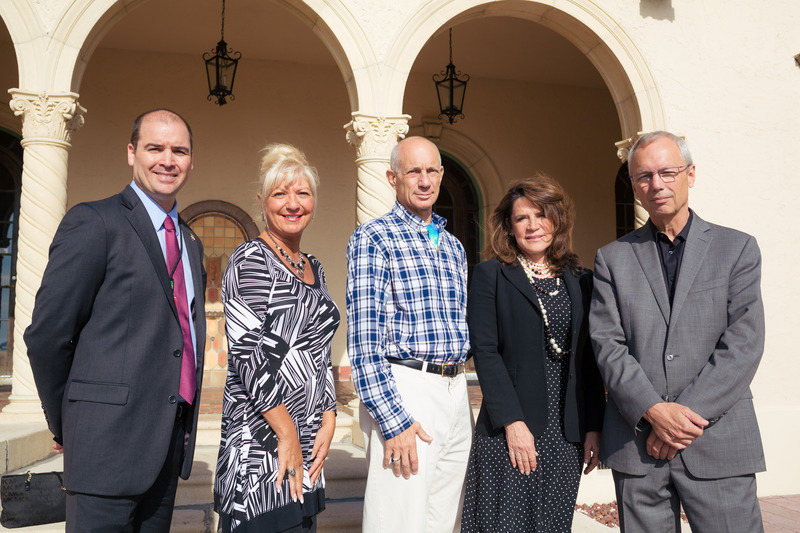 Part of the bid for Modern Pentathlon referenced the incredibly arts and culture of Sarasota – and organizations like the Ringling Museum and the circus played a major part in the success of the first Modern Pentathlon. 3. Every event – no matter the size – is met with challenges. But how you deal with them is a predictor of success. For Lucy Nicandri, being a good listener is just as important as being a good ambassador. “When we have a complaint, I like to hit it head on.” For the noise concern of Thunder By The Bay, Lucy and her team make it their mission to market quiet and courteous driving throughout the event. And when faced with a challenge or difficult situation, she keeps an open ear and isn’t shy about acknowledging the economic impact of theses events. “What are our businesses doing to welcome bikers?” Realizing that these events can go to other cities often gives even the staunchest nay-sayers reason for pause. For a participatory event like Sarasota Music Half Marathon, having the support of the community was an important piece. But how do you get the non-competitors enthused? “We delivered 200 cowbells and flyers to the houses and businesses along the race route because we believe in collaboration and communication,” said John Korff. 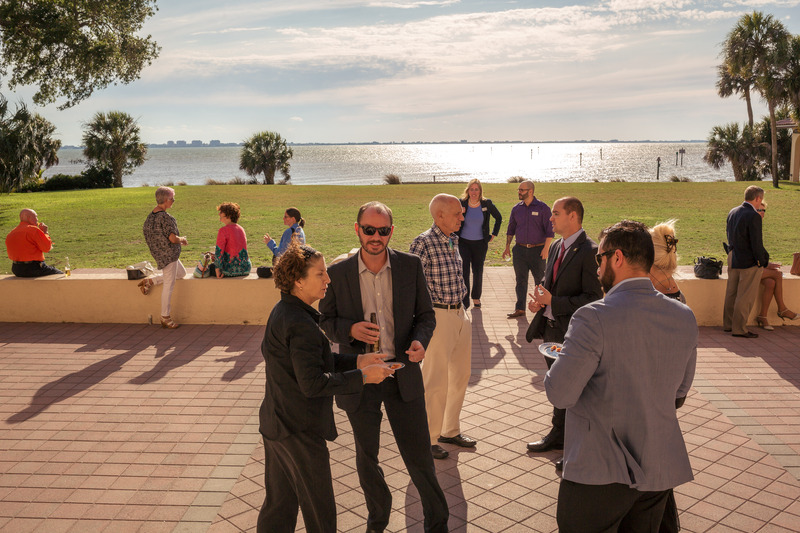 SRQ would like to thank Bradenton Area Convention and Visitors Bureau, the Bradenton Series sponsor, Sarasota series sponsor CS&L CPAs and Sarasota Bradenton Regional Airport for serving as the symposium’s event sponsor. To view a gallery of images from Hosting a Crowd, click here. ← HOT OFF THE PRESS: May Edition is Here!